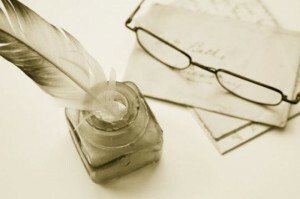 Francis Moran & Associates > Content marketing > Is that writer worth the cost of the ink? Is that writer worth the cost of the ink? When I worked in the newspaper business, there was a screening practice for job applicants that I wholeheartedly embraced – giving the strongest prospects freelance assignments on tight deadlines. There is no better way to gauge someone’s abilities. Writing samples are all well and good, but there is no telling how much they have been cleaned up by a third party. The same approach was taken at our affiliated inmedia Public Relations practice, only in this context the assignment was a media release. Writing is a craft. As with any craft, greatness is found in the belief that there is always room for improvement. While everyone should have an editor, too many people who practice the craft are an editor’s worst nightmare. Or, as the case may be, a client’s worst nightmare, as Francis wrote many moons ago in his seminal post on the subject, My PR agency can’t write. Last week I emphasized the value of turning to an external professional to help you get the words right if you don’t have the time or the resources available in house. Finding a wordsmith for hire is easy; qualifying that they have the right stuff is quite another matter. Start by canvassing your network of contacts for referrals. Look for projects completed that are similar to your needs in size, scope and focus. Before proceeding any further, settle on a short list of three to five candidates who warrant closer inspection. Don’t be satisfied with a quick email from your contact that reads, “yeah, he did good work for us.” To be frank, your contacts may not recognize “good work” if they tripped over it. Too many people in the position to employ a freelance writer have suffered from poor experiences and as a result have low expectations. This means you must ask some hard questions: How many hours did it take to produce the final product? How many rounds of revision were involved? Did the writer grasp concepts quickly or was there a lot of hand holding? What did the writer bring to the table in terms of fresh and innovative ideas? As we’ve said countless times before, a great writer is not a cut-and-paste artist. A great writer has the ability to distil resource material into something fresh and new that both conveys and deepens understanding of the subject matter. To be a great writer is also to be a great interviewer and researcher who can find and draw out useful bits of information that serve to create a stronger narrative. You must also consider whether your contact was the client from hell. I’ve worked with client organizations burdened with approval processes that are paralyzing, and decision makers with egos that eclipsed their grasp of the English language. Some simply don’t know better and introduce typographical and grammatical errors into clean copy. Others insist on playing with choices of word and turns of phrase at the 11th hour that do nothing to improve the quality of the work. The end result is five, six or even seven rounds of revision when one or two should have been sufficient. That’s why it is important to talk to more than one client of each writer on your shortlist. Writing is a process that requires collaboration between the writer and the client. For that relationship to be a smooth and effective one, both parties must be on the same page. Some writers may charge twice as much as others, but this isn’t about cost, it’s about value. The writer who commands the higher premium may be more experienced, more productive and capable of accomplishing more with less of your time. But again, you must do your due diligence to confirm if this is true. I had a bizarre experience recently with a client’s reference customer. I needed to create a narrative of about 200 words that demonstrated how the client’s product benefited the reference customer. I sent the reference customer a list of standard questions prior to a phone interview. The process was supposed to be quite simple: I interview the reference customer. I produce a polished draft for the reference customer’s review. The reference customer makes any tweaks they see fit and we are done. Instead, the reference customer emailed me back two sentences of comment. After 10 minutes on the phone, I couldn’t pry another meaningful word out of him. As far as he was concerned, he had already delivered the goods by saying all he had to say on the subject in as short and precise a form as possible. He just couldn’t grasp the idea that we were trying to tell a story with a greater degree of depth. The bizarre part came when I learned that he had paid a “professional writer” to draft those two meagre sentences, even though I had made it clear at the outset that it was my job to do the writing at no cost to him. I have no idea how much he paid for those two sentences. If he paid anything it was too much. If you employ a professional writer, the objective should be to produce content substantial enough that it provides value as fuel for your sales, marketing and public relations efforts. If, as part of an ongoing engagement, you need your hired pen to bang out a couple of sentences for something specific, it’s all good. But think hard about the value for you money in a one-off situation such as I just described. Employing the talents of a great writer should be part of a larger strategy intended to make the phone ring. For more pedestrian day-to-day needs, consider first who in your organization can be relied on as a wise reader who can edit for basic spelling, grammar and punch.